Two days ago we reported Mac OS X 10.6.5 and iTunes 10.1 were set to come out on Wednesday, with iOS 4.2 for iPhone, iPad and iPod Touch to follow on Friday Nov. 12th -- tomorrow. Mac OS X 10.6.5 indeed came out, without AirPrint functionality for shared printers as previously reported as well. iTunes 10.1 didn't come out. Basing on the information we got from a reliable source, it appears that iOS 4.2 won't come out on Nov. 12th due to last-minute WiFi connection issues experienced by many users running the GM build on the iPad. The issues have been widely documented on MacRumors forums (here and here), Twitter and Apple's own discussion boards, both by users and developers. You can check out a video of the bug in action below. Basically, even if the iPad manages to successfully connect to a local network, the connection is lost after a few minutes. This seems to be the most common problem among users, although some can't simply use Safari at all. The bug has been reported to Apple, and they apparently decided to delay the release of iOS 4.2 to fix the bug. Wifi issues came up with the GM build Apple released on November 1st. From what we're hearing, Apple may release a second GM build as early as tomorrow to deal with WiFi issues. This will delay the rumored Nov. 12th release for at least a week while it is tested, but may not get public release until the following week as it appears Apple will be testing it vigorously. 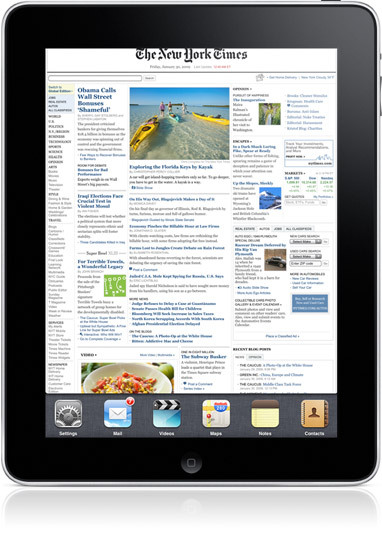 iOS 4.2 should, however, come out in November as Apple originally promised. Update: As for iTunes 10.1 -- an I'm totally guessing here -- I believe it will simply be released a few days before iOS 4.2, in order to ensure compatibility. Update #2: Technically, it's likely that the aforementioned new GM build will be an updated build that just adds the WiFi fix. It may be released internally, to a few selected developers -- we don't know just yet. We should know more come tomorrow. Update #3: iTunes 10.1 is now live, and we're told Apple is testing a fix for the WiFi issue internally. As we mentioned above, there's the possibility iOS 4.2 drops next week. Update #4: A new GM build for iPad is now online.